Prevention and intervention are key factors in managing mental health problems in the workplace. Dr Raj Kumar, chief medical officer at cognitive health company MyCognition, explains how businesses can be proactive in catching mental ill health early. Mental health issues cost UK businesses more than £26 billion per year. Yet, despite this economic burden – and the considerable number of workers who can suffer from mental health problems at any one time – many employers still lack the framework to deal with this challenge. The problem is exacerbated in smaller companies, where responses tend to be ad hoc and reactive in nature, meaning that help and support can often come too late for those who are suffering. It is a familiar – and true – concept that a good work/life balance contributes positively to mental health. However, today’s mobile era has created an “always on” culture, where many employees feel that they need to be available 24/7, leaving them unable to truly switch off and relax after leaving the office. 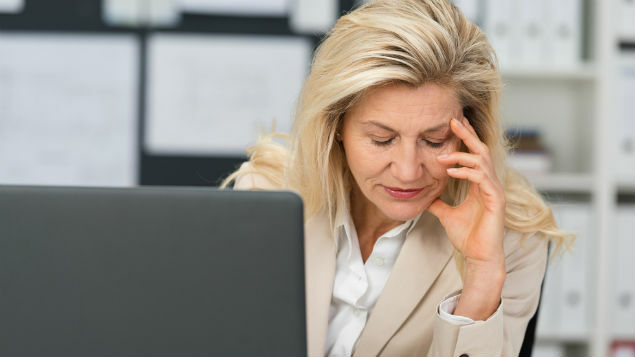 The lack of restorative “down time”, excessive working hours, long periods of intense pressure and successive deadlines – all common issues in our workplaces – can easily lead to an accumulation of stress. Long-term stress, left unchecked, can, in turn, cause severe mental health issues such as depression or anxiety. A survey by the Mental Health Foundation in 2003 found that working long hours left over a quarter (27.1%) of people feeling depressed, while over one-third (34.3%) reported experiencing anxiety. One of the most valuable things businesses can do for the mental health of their workforce is to prioritise the work/life balance of their employees. Time away from the desk is vital for a positive and productive workforce and initiatives such as encouraging proper lunch breaks and establishing an offline weekend policy will alleviate the burden on employees. Managers should also be aware of the people in their team who regularly work excessive hours and look to restructure workloads if necessary. Most importantly, the demands of work should not detract from conventional care. Busy staff may struggle to find time to visit their GP regularly and therefore run the risk of foregoing medical attention: 12 million GP appointments are missed each year, with the 16-34 age group most likely to miss an appointment (NHS, 2014). Companies would benefit from recognising the importance of regular check-ups and should make it clear that employees are encouraged to attend them. In recent years, awareness of mental health as an issue central to business has surged. However, stigma still remains one of the main barriers to addressing this challenge, which is why businesses must look to tackle it head-on. In many cases, employees refrain from discussing mental health issues with their employer for fear of jeopardising their career prospects or falling victim to discrimination. According to a January 2015 survey conducted by the Centre of Addiction and Mental Health, 40% of workers would not tell a manager if they had mental health problems. Assuaging this fear is paramount for employers – first of all for the health and wellbeing of their employees, but also for the success of their business, as low productivity from mental ill health is estimated to cost UK companies approximately £15 billion per year. Open and transparent communication about mental health issues such as stress and depression, as well as clear information about any company policies in place to support those already experiencing problems, will encourage employees to speak out early if they are affected. Launching an anonymous poll or a feedback system inviting staff to discuss workplace satisfaction, or mental health initiatives that they would like to see introduced, is a good start. Businesses can also enlist the aid of experienced partners; well-established charities such as Mind can help employers meet their duty of care by offering information, training and even corporate partnerships. Mental health conditions such as depression are associated with a range of symptoms: emotional; cognitive; and physical. Cognition is synonymous with the way our mind operates – if left untreated, cognitive dysfunction associated with depression can result in lower function at home and at work, and even interfere with other treatments. A balanced cognition, on the other hand, positively influences mental health, and can supply employees with more robust coping mechanisms when work pressures pile up. Assessing people’s cognitive health is one way to spot the early signs of mental ill health. Businesses can now offer their employees screening for cognitive health issues simply and easily via online tools such as MyCognition’s MyCQPro, or interactive apps such as MoodFx. MyCQProQ is a 15-minute online cognitive assessment that evaluates the health of core cognitive domains such as attention, executive function and working memory. The assessment, which can be taken anonymously, empowers individuals by offering them detailed information about what their cognitive strengths are, and also the areas in which they may be underperforming. An indication that someone is struggling in some cognitive areas relative to their peer group provides a chance for them and their employer to act early and explore what the underlying issue might be, and to seek professional help. Online cognitive tests can also help to remove some of the stigma attached to mental health problems, as talking about attention and working memory can feel more manageable. Workplace interventions and care have been shown in studies to boost the mental wellbeing of participants and deliver considerable returns on investment. A 2010 study by Harvard Medical School evaluated more than 600 workers taking part in a wellness initiative, which consisted of telephone screening and depression care management. Individuals in the control group, who received telephone psychotherapy, reported significantly improved mood and were more likely to keep their jobs when compared with the control group. They also improved their productivity, equivalent to about 2.6 hours of extra work per week, worth on average $1,800 per year. The cost of the intervention was between $100 and $400 per employee. On an individual business level, employers can support the mental wellbeing of their staff and boost performance by providing resources for cognitive training, or fitness apps that can help strengthen areas of cognition, for example, apps that provide techniques such as mnemonics to enhance memory. Employers should also promote the benefits that eating a balanced diet, getting enough exercise and having good sleep can have on cognitive health – all non-invasive simple steps that may help boost memory, concentration and attention. Statistically, any large organisation will have staff affected by ongoing mental health conditions. While the path to treatment and robust mental health should go through the verified channel of GP consultation, followed by referrals to specialists, businesses can support their workforce by building a robust framework so that their employees are accompanied at every stage when dealing with mental health issues. First, invest in training HR and OH professionals to encourage and assist staff to seek help if they feel that they are struggling. To go further, make sure that the expertise of these professionals translates to the whole organisation. Educate line managers about how to respond to sensitive situations because, if unmindful of the issues at stake, they may set in motion a negative spiral by adding to the pressures already facing vulnerable staff. Second, a well-structured approach to sickness leave can facilitate a managed return to work for those who have been absent. An earlier return to work and ultimately a full recovery is a mutually beneficial outcome for both parties. to ensure a full recovery. While this is not a binding statement, it is a helpful resource to use when agreeing the details of an employee’s return to work. It offers an independent and authoritative view on what constitutes a reasonable course of action: encouraging employees to follow this advice and abiding by it as an employer is a straightforward commitment to improving quality of life at work. Poor mental health is a daunting challenge for businesses and addressing it requires significant investment in preventative action. The first step is to build a culture of awareness and start an open internal discussion about mental health. 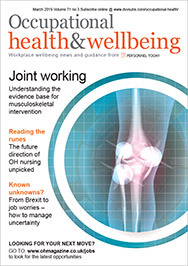 This forms the basis for a practical programme where employers and staff collaborate to offer good care, relying on screening, on affordable but effective ways to boost cognitive and mental health, and on good practices regarding work/life balance. Combined with a robust HR and OH framework, this can make a vast difference to the millions of workers who struggle with mental health issues. Dr Raj Kumar is chief medical officer at MyCognition, a science-based company dedicated to understanding and improving cognitive health. He is a Member and Fellow of the Royal Society of Medicine (RSM), and a Member of the European College of Neuropsychopharmacology (ECNP).